O/H Sunday, Oct 19th 2-4pm. OTP October 21st. 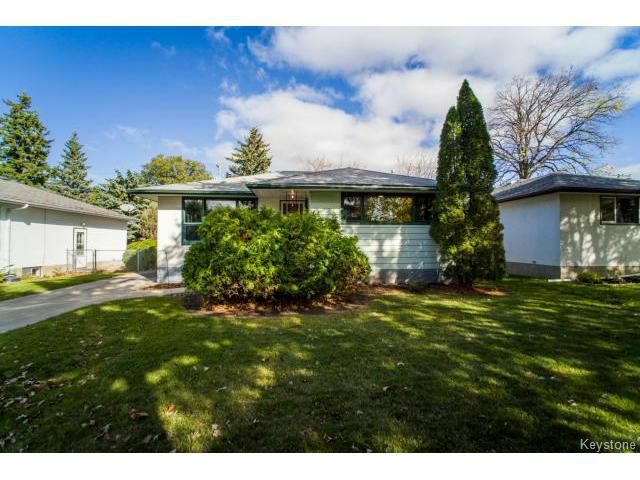 Absolutely beautiful and spacious 3 brm, 2 full bath bungalow in one of the most desired neighbourhoods of fabulous Fort Garry. At 1117 sq. ft., this 1954 built home was lovingly cared for by the original owners, has a fantastic layout and easily welcomes a large family. Wonderful curb appeal and a location that can?t be beat - close to parks, schools, shopping and transit. Original hardwood floors in living, dining and bedrooms, new carpet and tile floors with some new light fixtures and paint. Sunny updated kitchen and baths. The newly refreshed basement is a great extension for entertaining; Oversized family room with a large spare guest room or den and full bath with large laundry and loads of room for workshop. Enjoy summer BBQ's with the family in the sunny back-yard; garden or just bask in the sun. Carport with additional parking is a bonus to this incredible home. Do not miss this one!